Geeky Peaches: January 2016 Edition – Peachtree Publishing Company Inc. This week marks the end of the month, and the end of the month here at Peachtree always includes a night when the book-smart, analytical, and generally intelligent (geeky) members of the Peachtree Publishers team (Peaches) leave our purple halls, gather at the nearby taqueria, and talk about books. 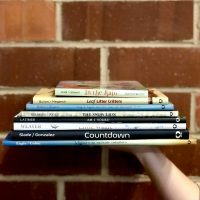 This month, the books on the table (literally and figuratively) were the 2016 Caldecott Honor Books. If you don’t already know the titles, the Honor Books were Trombone Shorty illustrated by BrianCollier and written by Troy Andrews; Waiting illustrated and written by Kevin Henkes; Voice of Freedom: Fannie Lou Hamer, Spirit of the Civil Rights Movement illustrated by Ekua Holmes and written by Carole Boston Weatherford; and finally The Last Stop on Market Street illustrated by Christian Robinson and written by Matt de la Peňa. We all took some time to flip through these lovely books one more time, being careful to keep them away from the guacamole and salsa, and then the talk started and didn’t stop for an hour and a half. For some of the younger Peaches at the table, we started off by remembering what the criteria for the Caldecott medal are. 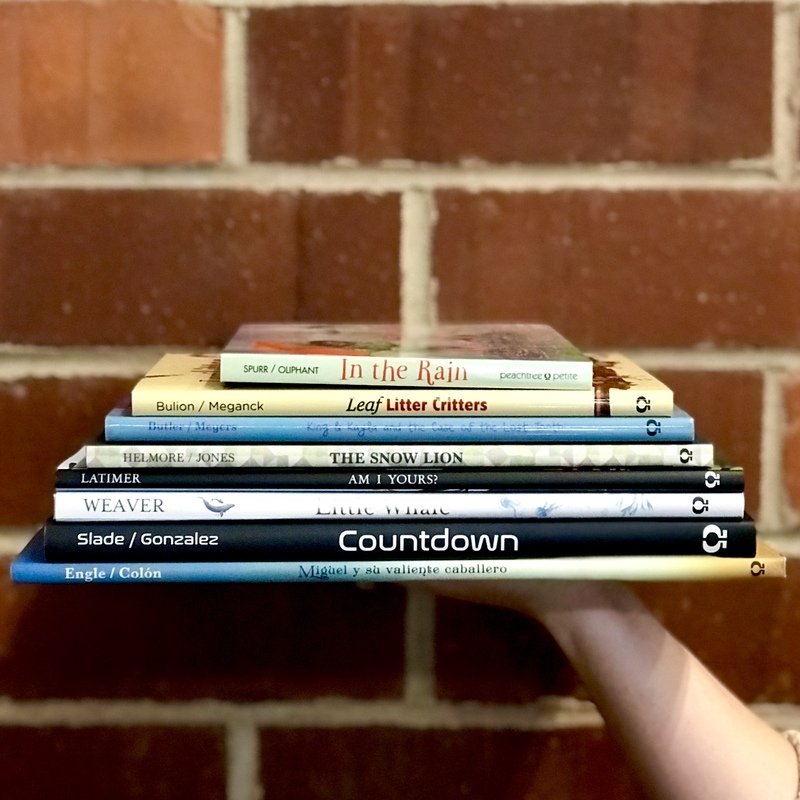 Our beloved Awards Coordinator (among other titles), Courtney, briefly explained some of the factors and requirements to provide some context for our discussion (and if you’re curious, check out the official criteria and terms here). There was a brief lull as our taco orders were taken, but then we dug into the books themselves. 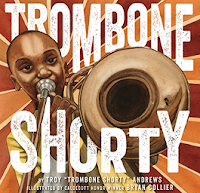 Trombone Shorty didn’t take much time to discuss as there was little debate—we all loved it, and we were all ready to take a trip to New Orleans. 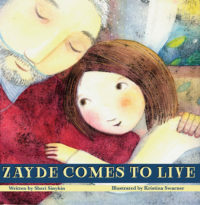 The vivid colors and images of a picture book were a great backdrop for the fun and inspiring true story of Troy Andrews. Awards and critiques aside, we all enjoyed learning about the childhood and influences of the talented musician and author. 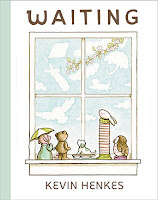 On the other hand, every time we thought we’d laid it to rest, our conversation about Waiting bubbled up again. When Vicky, one of our editors, confessed that she’d thought long and hard about the possibility of a deeper philosophical meaning behind the little book, the gears immediately started churning in everyone else’s heads as we tried to think of something posh and intelligent to say. 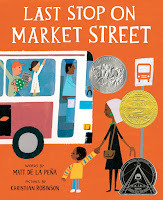 Unfortunately, we had no “eureka” moment, got back to our tacos, and declared that we liked the gentle and friendly illustrations that contrasted with the bright and loud books surrounding it. 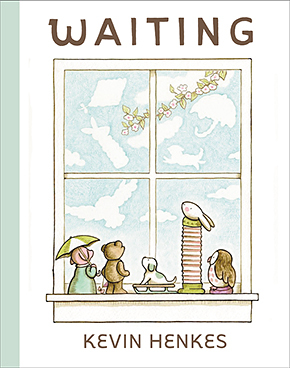 Our parting thought was a curiosity to see how a child would react to the five little windowsill friends. 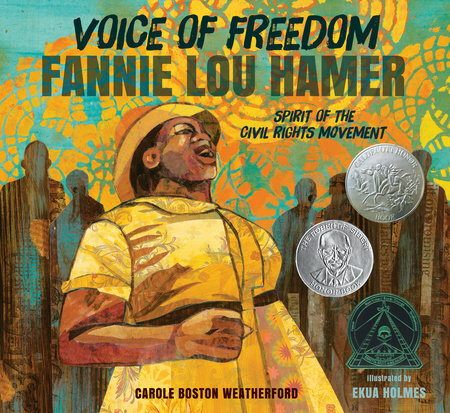 The art in Voice of Freedom received favorite status from a few of us, and we spent some time flipping through to find our favorite spreads to share with each other. 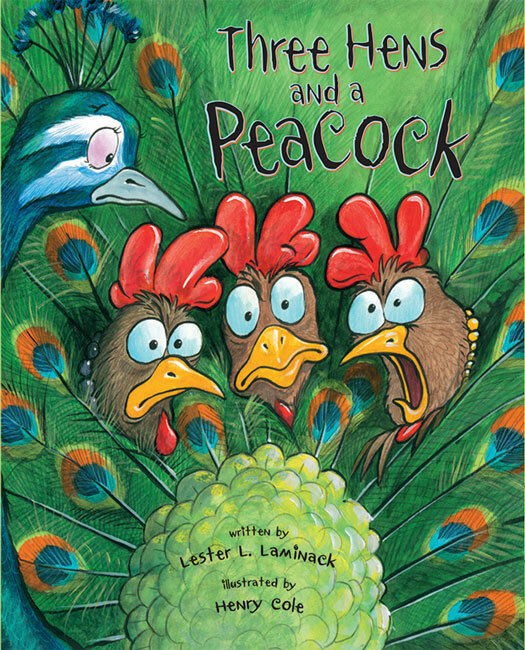 In particular, we discussed how the book combined a classic approach with the separation of art and text on many of the pages, and yet the art itself was so fresh and vibrant and really not traditional at all. Although we spent a fair amount of time on the art in voice, we also loved that the text did not shy away from sharing the realities and suffering of the era. Medal, didn’t spur as much talk because its various awards had already sparked conversations over the last several weeks, and we’d all become very familiar with it. When looking at the art of all four books, however, we did particularly enjoy the textures that were in each illustration. 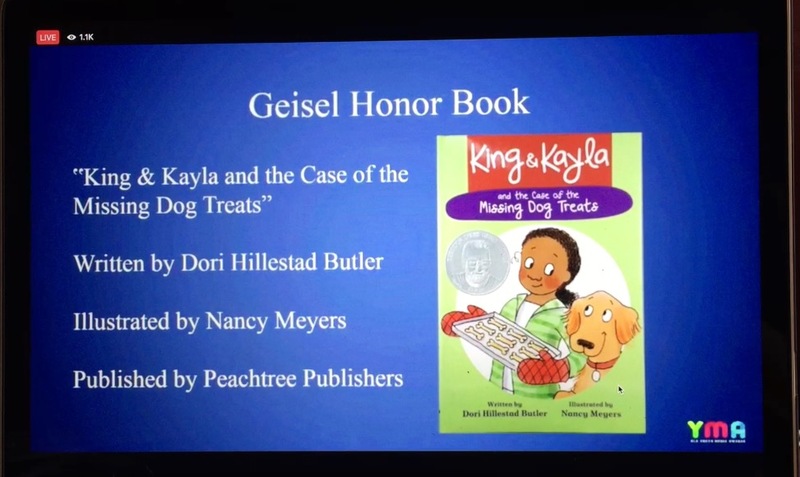 We were pleased with the diversified range of authors and books that were represented among the honored titles, and, as always, it was fun to see a few new names in the mix. 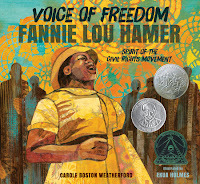 What did you think about this year’s Caldecott Honorees? Let us know in the comments. Want to join in the fun? 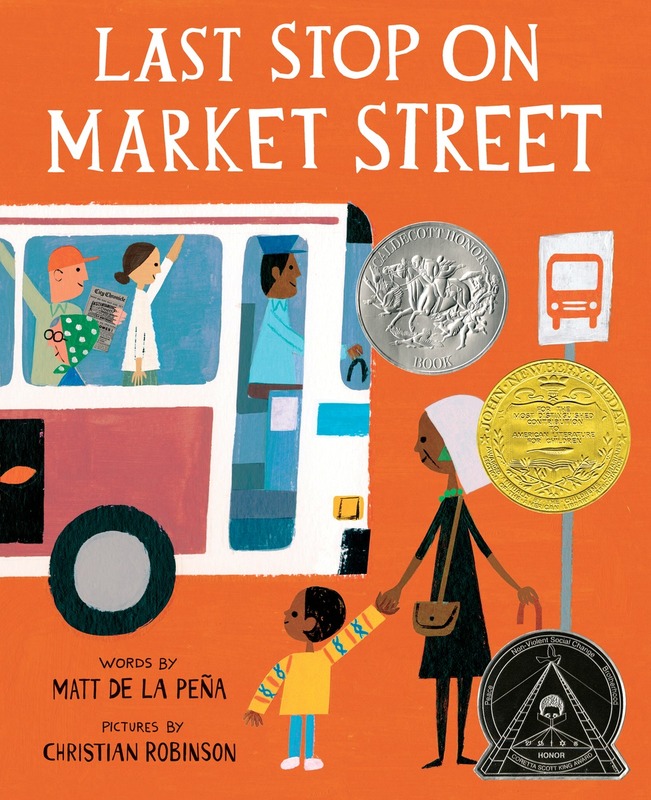 At next month’s Geeky Peaches we’re discussing the 2016 Newbery results! 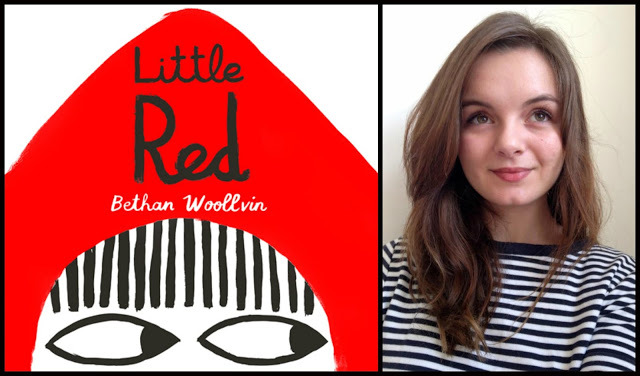 Little Red is a New York Times Best Illustrated Children’s Book! Vote for Three Hens and a Peacock!